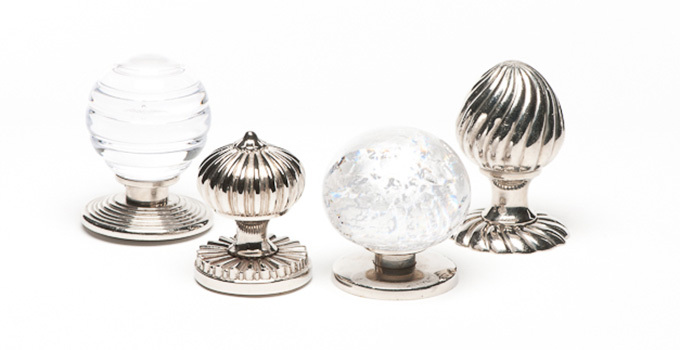 Our range of door knobs is available in all our standard metal finishes including Polished Nickel, Antiqued Brass, Antique Gilt, Copper, Verdigris, Satin Nickel, Antique Silver, Dark Bronze and Antique Nickel. We can also custom finish them to order. All turning door knobs are supplied with 8mm spindles.